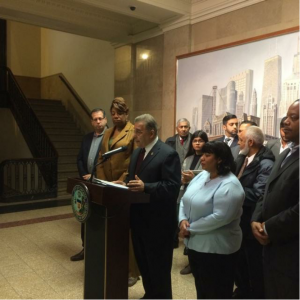 On December 5th, AMVOTE appeared before the Human Relations Committee of the Chicago City Counsel in support of a Resolution Condemning Hate Speech. The Resolution was then passed! Next, the Resolution goes before the full City Council later this month. AMVOTE is grateful for the work done by the sponsor of the Resolution, Alderman Scott Waguespack, and the Committee Chairman, Alderman Pat Dowell.